When a very localized hypersensitivity/irriitability in a tissue occurs due to either over training, poor posture, poor body mechanics, or post surgery can result in a trigger point (knot) These points can often refer pain to other locations nearby. This therapy can be extremely effective for decreasing pain, and increasing your normal range of motion. As a therapist myself, I use this modality most frequently in conjunction with my Deep Tissue Massage due to the intensive nature of the work. 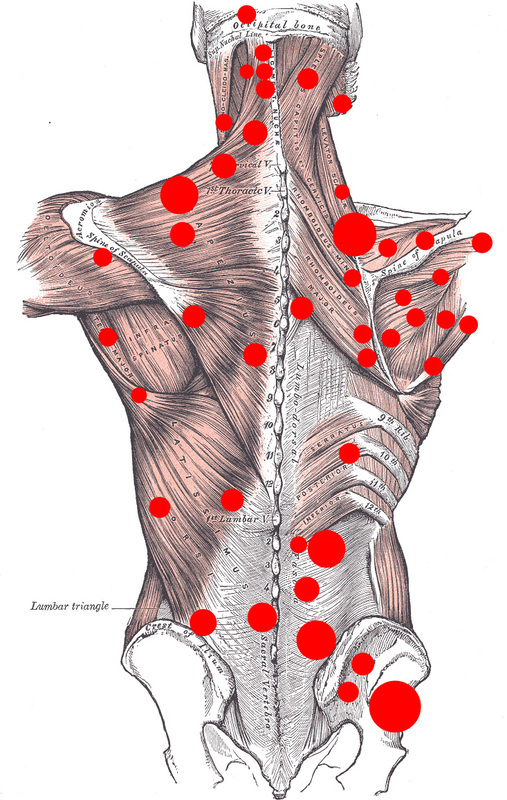 There are three types of trigger points. Active: persistant, often constant tender pain which increases dramatically upon compression. Resricts range of motion and tends to weaken muscle tissue over time. Latent: Refers to a trigger point which is activated only when palpated. Inactive: may lie dormant until activated by muscle overuse, typically repetitive in nature.